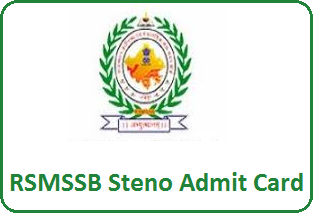 AP EAMCET 2019: The Engineering, Agriculture and Medicine common Entrance Test (EAMCET) 2019 in Andhra Pradesh to be held on April 26, This examination known as APEAMCET is conducted on the behalf of APSCHE.Minister for HRD Ganta srinivasa Rao announced at JNTU-Kakinada will conduct the test. The AP government decided to conduct EAMCET on its own as its efforts. The examination is held one in a year and is done on state level basis. 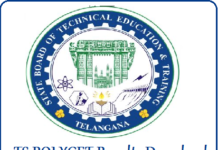 JNTU Kakinada has published the AP EAMCET 2019 notification and it is being conducted on behalf of APSCHE. Applications are invited form eligible students for entry into the first year of the following courses offered for the academic year 2019-2020 in the state of Adhra Pradesh. After the students pass this examination, they can take the admissions in government and private institutes. A total of 1,65,000 seats are available in the engineering colleges and 1,16,732 of them will be filled up under convener’s quota. More than two lakh students are expected to appear for the test.We Provide here AP EAMCET 2019exam dates, eligibility, syllabus and application form. AP EAMCET 2019 Application Form has been released on 28th February 2018. It is a state level entrance exam. The AP government decided to conduct EAMCET on its own as its efforts. JNTU Kakinada has published the AP EAMCET 2019 notification and it is being conducted on behalf of APSCHE. Andhra Pradesh Engineering, Agriculture & Medical Common Entrance Test (AP EAMCET 2019) is conducted by Jawaharlal Nehru Technological University, Kakinada. If you wish to learn more about the AP EAMCET application form 2018 including the step-wise procedure to fill the same, read through the rest of the article.Andhra Pradesh EAMCET 2018 is a Entrance Test to get Admission in Engineering and Medical Colleges through out Andhra Pradesh State.Through this exam, students can get admission into various professional engineering, agriculture and pharmacy programmes. In this article, we are providing complete information about AP EAMCET Application Form 2018. Qualification for the Exam: Students should pass in Intermediate or equivalent from any recognized board. EAMCET Subjects: Students must qualify the qualifying exam in the subjects such as Physics, Chemistry and Mathematics. AP EAMCET Exam Dates 2019 are will be available from 1st week of February 2018. If you submit the online form after the date. The syllabus of AP EAMCET 2018 will be prescribed by JNTU for all the candidates. AP EAMCET 2018 syllabus contains topics from Physics, Chemistry and Mathematics. Check the syllabus of AP EAMCET 2018 from the table given below. 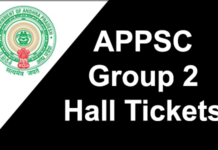 AP EAMCET hall ticket 2018 will be released by the exam conducting authorities in the 18th April 2018. . In the admit card, the exam details such as candidates name & roll number, exam centre, exam date and time will be mentioned.